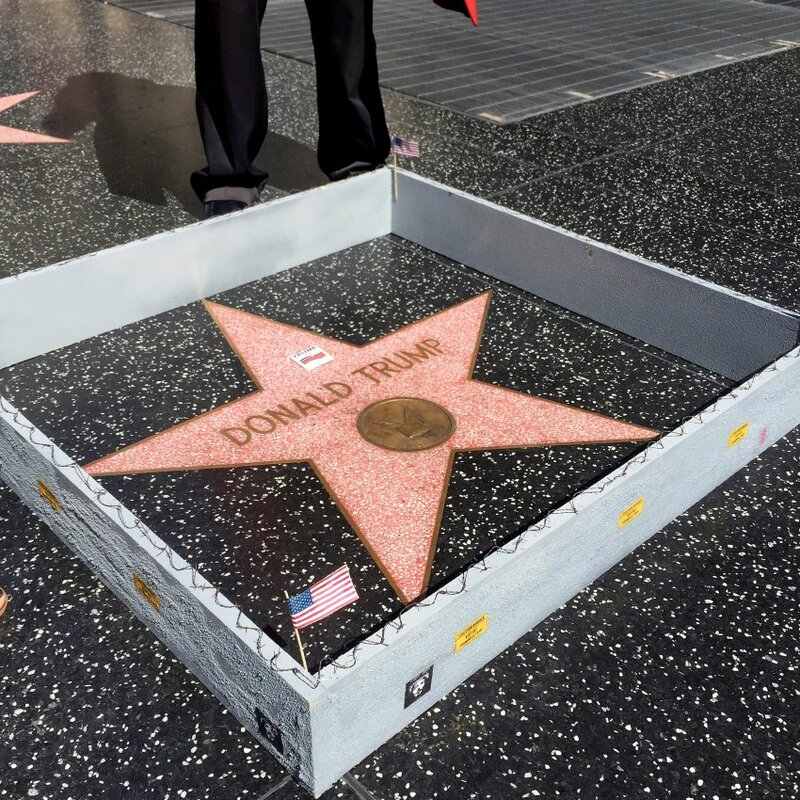 The Hollywood Walk of Fame Star awarded to Republican Presidential Nominee Donald Trump is shown surrounded by a barb-wire wall in a piece by street artist Plastic Jesus in Hollywood, California July 19, 2016. Picture taken July 19, 2016. REUTERS/Sasa Brajovic TPX IMAGES OF THE DAY FOR EDITORIAL USE ONLY. NO RESALES. NO ARCHIVES.